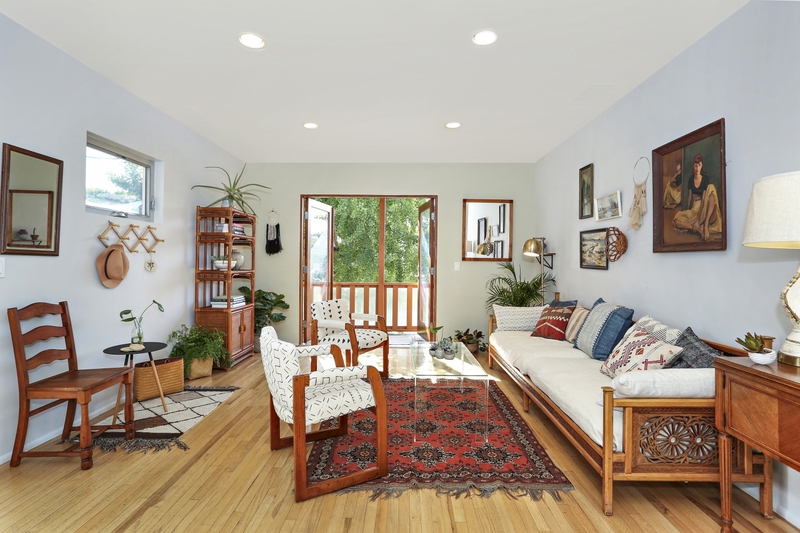 Measuring just 795 square feet, this two-level Eagle Rock house with two bedrooms and one bath is tiny. But there’s plenty of outdoor space to make up for that. The lot spans 9,118 square feet, much of it usable for gardening, entertaining, and drinking wine or whatever you do for fun and relaxation. The property is beautifully landscaped without grass. Instead, it’s peppered with succulents, cactus, and a Gingko tree. The listing notes that the yard is carved up into three separate “outdoor living opportunities,” including a stone patio—ideal for dining al fresco—that looks out over the hills. There are hilltop views from the inside, too, along with wood moldings and an updated kitchen. If you need more room, the listing suggests using the two-car garage on the first floor; it’s set up in the photos as an office. Last sold in 2013 for $460,000, it’s now asking $739,000.